Its down to cannily cast diva Cher, playing Sophie’s maternal grandmother Ruby Sheridan to really raise the roof as she does singing Fernando in duet with her lost love (played by Andy Garcia). The moment white-wigged Cher steps out of her helicopter on the jetty in that sparkling sun drenched bay she owns the movie hook line and sinker and virtually nothing else exists. Or at least until Meryl Streep appears singing My Love, My Life in that famous cliff-top church and instantly reduces the audience to floods of tears. 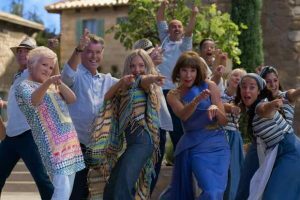 In a replica of The Winner Takes it All showstopper in Mamma Mia, it’s a stunningly bravura moment that will live long in the memory. 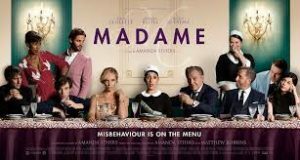 Adding a little spice to a waning marriage, Anne and Bob (Toni Collette and Harvey Keitel) a wealthy and well-connected American couple move into a manor house in romantic Paris. While preparing a luxurious dinner for sophisticated international friends, our hostess discovers there are 13 guests. Panic-stricken she insists her loyal maid Maria (Rossy de Palma) pass herself off as a mysterious Spanish noblewoman to even out the numbers. But a little too much wine and some playful chat lead Maria to endear herself to a dandy British art broker. Their budding romance will have Anne chasing her maid around Paris and finally plotting to destroy this most unexpected and joyous love affair. 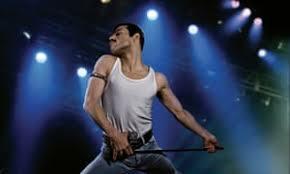 Bohemian Rhapsody is a foot-stomping celebration of Queen, their music and their extraordinary lead singer Freddie Mercury (Rami Malek) The film traces the meteoric rise of the band through their iconic songs and revolutionary sound. They reach unparalleled success, but in an unexpected turn Freddie, surrounded by darker influences, shuns Queen in pursuit of his solo career. Having suffered greatly without the collaboration of Queen, Freddie manages to reunite with his bandmates just in time for Live Aid. While bravely facing a recent AIDS diagnosis Freddie leads the band in one of the greatest performances in the history of rock music. 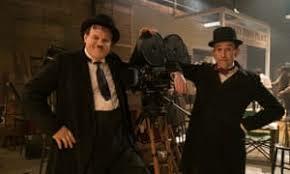 Starring Steve Coogan and John C Reilly as the legendary movie icons Stan and Ollie is the heart-warming story of what would become the pair’s triumphant farewell tour. With their golden era long behind them the pair embark on a variety hall tour of Britain and Ireland. Despite the pressures of a hectic schedule and with the support of their wives Lucille (Shirley Henderson) and Ida (Nina Arianda) – a formidable double act in their own right – the pair’s love of performing as well as for each other endures as they secure their place in the hearts of their adoring public. These are brilliant impersonations the kind that can only be achieved by exceptionally intelligent actors the superb technique of both is matched by their obvious love for the originals.